Guest blogger! Guest blogger! Guest blogger! You know, I beg you mofos all of the time to guest blog and none of you take me seriously. I was elated last night to receive this guest blog in my inbox last night from my buddy D-Dubs, who is as nice as he is good-looking! D-Dubs and Mister Ferguson recently struck up a friendship over a mutual love of skiing and actually just returned from Whistler on a man-cation (vacation taken by men). How weird is it when your friend circles start overlapping? All of these dudes I went to high school with and have known for years are suddenly calling Mister Ferguson to go skiing! What am I, old news? At any rate, D-Dubs is a good friend to have and I’m happy to share him with my husband. The subject of his guest blog this evening is speed eating, something which I am guilty of myself. I think it is because I usually wait until I’m absolutely starving to eat. When it’s time for lunch, I can’t get it down fast enough. I am always jealous of those “ladies” that are able to show restraint at the lunch table—the ones that order a salad and then appear as though they could care less if it arrives or not. I care. I place my order and then twitch like a crack addict until I get my sandwich. Then, look out! I am aware that if I ate smaller meals though out the day, I wouldn’t get like this. However, I’m my own worst enemy and refuse to diet correctly. Until I get some sense, I will continue to complain on my Web site about not being at my goal weight. 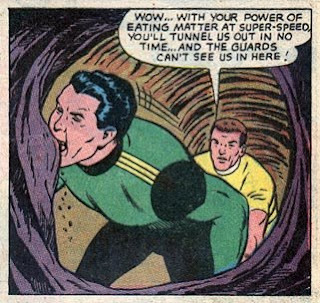 I am a notoriously fast eater. It's in my blood. My dad used to eat 6pieces of Sam's Pizza (best pizza in the world, right next to Sarris's in Canonsburg) while driving home from Sam's—approx. 4 miles. My grandfather was known to down a dozen ears of corn no problem. Being a sprinter has its drawbacks. When I was growing up, it was not uncommon for me or my sisters to have to stop in the middle of a feeding and lie on the floor and moan from abdominal distention. Nowadays, my friends will just be getting started on dinner and my plate will be clean. While this sounds like an exaggeration, today I got quantitative evidence of my problem. At lunchtime, I drove across the hot metal bridge to get lunch at Qdoba. I got lucky and found a metered spot right in front of the door. I threw a quarter in the meter, noticing that it already had 11 minutes. The addition of my quarter made it 41 minutes. Inside there were only two people in line, nice. When it was my turn, I ordered an "Ancho Chili BBQ Burrito,” naked with chips. For those that don't frequent Qdoba, the burritos are huge, especially if you top them like I do. I paid for my food and went to the drink station. Here I have a standard routine—squeeze two lemons into my cup, add ice, then Dr. Pepper. Then I got plastic ware, napkins, and Cholula hot sauce. I sat down, dowsed my food in hot sauce, and ate. Upon exiting I noticed there were 29 minutes left on the meter. What????? I was not in a rush, I was not late for anything, just a creature of habit. I had mixed feelings—pride for being efficient, shame of being gross. I must look like a hostage while eating. PS—Opposites do attract because my wife is a marathon eater with stamina. I have seen her sit down with a wooden mallet in-hand and steadily and methodically consume Maryland crabs for 4 hours without rising from her chair. For those of you who would like to see a video of D-Dubs at Qdoba, click here. No surprise, speed eating is bad for weight loss. Some genius scientists set out to prove this by observing diners at 11 different Chinese buffet restaurants across the United States. Their goal was to find out whether the eating behaviors of people at all-you-can-eat buffets varied based on their body mass. Trained observers recorded the height, weight, gender, age, and behavior of 213 patrons. The various seating, serving and eating behaviors were then compared across BMI levels. This study confirms earlier research from the University of Rhode Island published in the journal of the American Dietetic Association which found that eating slowly leads to decreases in energy intake. It means that the more time you take to eat, the less energy (calories) you are likely to consume. The faster you eat, the more energy (calories) you’re likely to consume. Big shocker. I could have told you that! I feel that you have been slacking on your blogs. I check your site every day and havent seen any new posts in almost a month! Please give us some hope that your still out there!! Tiddy The Banksville Boys hope you are well and start writing again. We know you are recovering from the long run. Dr Love ask me to check in today. Five dollar coupons are great. Scotch is King and Queen. How is Mr. Phister (security) and Mr. Ferguson? See you guys soon.